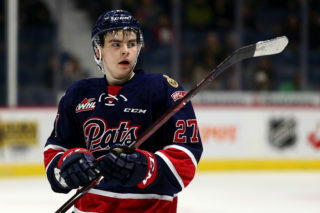 The Regina Pats scored six times in the first period en-route to an eight straight win, 9-6 over the Saskatoon Blades at the Brandt Centre on Friday night. 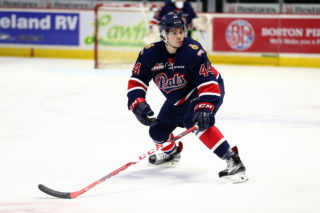 Adam Brooks and Jake Leschyshyn both had a goal and three assists in the game for the Pats, Sam Steel chipped in with two goals and a helper. Tyler Brown made 34 saves for his seventh win in his ninth start to begin the year. In their last two games, Regina has scored 19 times and have recorded an incredible 87 goals in 15 games this year. The Pats (12-0-3-0) are off until Thursday when they visit the Moose Jaw Warriors at 7 p.m. at Mosaic Place. Regina – Jake Leschyshyn (9) from Chase Harrison and Sergey Zborovskiy – 2:27 PP. Regina – Sam Steel (13) unassisted – 3:05. Saskatoon – Michal Farren (2) unassisted – 8:51. Regina – Sam Steel (14) from Nick Henry and Adam Brooks – 10:12 PP. Saskatoon – Braylon Shmyr (3) unassisted – 16:04. Regina – Austin Wagner (8) from Adam Brooks – 16:29 SH. Regina – Dawson Leedahl (6) from Sam Steel and Connor Hobbs – 17:35 SH. 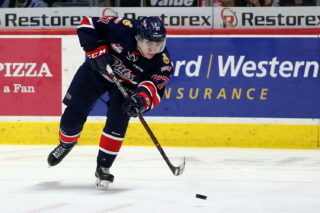 Regina – Chase Harrison (3) from Jake Leschyshyn – 19:40. Saskatoon – Michael Farren (3) from Libor Hajek – 4:49. Saskatoon – Gage Ramsay (2) from Caleb Fantillo – 10:15. Regina – Filip Ahl (10) from Connor Hobbs and Jake Leschyshyn – 15:57 PP. Saskatoon – Logan Christensen (4) from Wyatt Sloboshan and Nolan Reid – 17:52 PP. Regina – Filip Ahl (11) from Jake Leschyshyn and Adam Brooks – 4:15 PP. Regina – Adam Brooks (9) from Connor Hobbs and Austin Wagner – 7:29. Saskatoon – Caleb Fantillo (1) from Nolan Reid – 16:22. 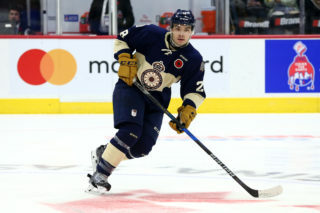 – The Pats scored twice on the same penalty kill for the second time this season. They lead the WHL with 11 SHG’s. 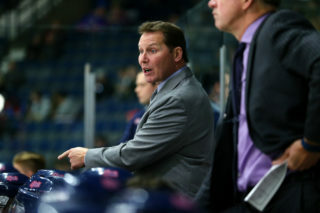 – Eight Pats are riding point streaks of four games or more. – The Pats eight game winning streak is the longest for the organization since the 2001-02 season.